If you are teaching “Coraline” or “Alice in Wonderland,” revisiting Dorothy Gale from Kansas and her adventures in the Land of Oz might be a great idea. “The Wizard of Oz” features yet another spunky heroine whose depiction onscreen differs more than a little from the original novel’s story. Your students’ minds will be blown by the fact that the infamous slippers were originally silver and not red. Why were they red in the film? For the Technicolor advantage. Red showed up better on film. Throw that fun fact out to your students. For many of us, no summary of the story is necessary. A young girl and her dog swept by a cyclone to the Land of Oz, where she makes new friends, defeats a wicked witch, exposes the true nature of the powerful Wizard and realizes that home is, after all, the very best place to be. However, when read in conjunction with the other two novels, it helps to form a solid trio of strong young heroines who rise above obstacles and realize in the end that there is truly no place like home. 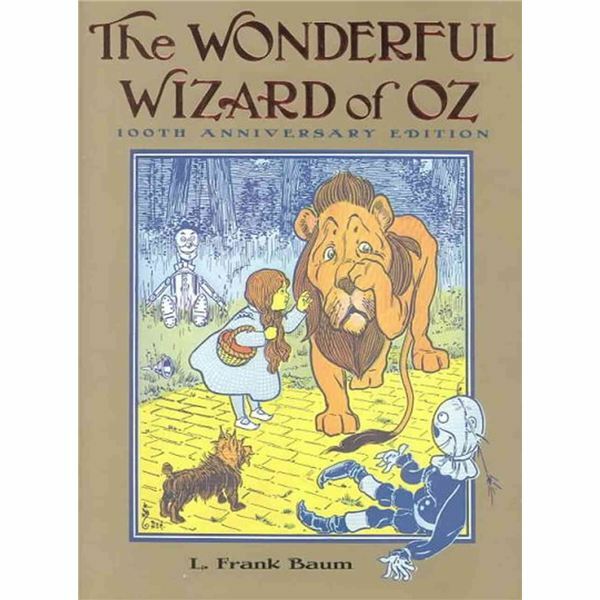 Use the downloadable PowerPoint with discussion questions for each chapter as you read “The Wizard of Oz.” And of course, show the movie just for fun. Who can resist the Judy Garland classic? It may even be possible that you have students among your classes who have not yet seen it. What a treat to watch the film once again through their eyes! Young readers will be captivated with the fantasy stories of “Alice in Wonderland”, “Coraline” and “The Wizard of Oz”. Compare the three heroines in this series of lesson plans.